Top 5 Costly Financial Mistakes Homeowners Make With their Mortgage! Which Financial Mistakes are you guilty of? 1. Not consolidating high interest debt into low interest mortgage. 5. Having their mortgage with a lender that has high penalties and restrictive clauses. Not consolidating high interest credit or vehicle loans into their mortgage. Paying Fees to get the lower rate. Dear rate chasers…they catch up with you somewhere. Nothing comes for free. Let’s face it, you go to the bank and their goal is to make money! A lender that offers you a 4.49% with a $2500 vs a 4.64% with no fee and you think “yes, score what a great rate!” Hold your coins… as you could be walking away poorer as the banker didn’t run the bottom line numbers for you. Chasing rates can cost you more money in the long run. Your $500,000 mortgage was offered with two rates for the business for self guy who needed a mortgage where they didn’t look at the income so much: 4.49% and $2500 fee and $4.64% no fee. Lets see what it really looks like for a 2 year mortgage. Wait? So by taking the lower rate with the fee means I owe $1929 MORE in 2 years and only saved $672 in overall payments? The long term financial planning side. I counsel many of my clients to take 2-3 year year terms for a variety of reasons. Capitalizing on the equity in your home to pay off a car loan or upcoming wedding. Did you know the average homeowner refinances every 3 years? Taking a 5 year when 3 and 4 year rates might be a better option. Many times the 2-4 year rates can be significantly lower than the 5 year rates. Remember, the bank wants money and the longer you take the term, the more they make. True, many folks prefer or fit the 5 year terms, but many don’t. Worrying about where rates will be in 3-5 years from now should be a question, but not always the guiding factor in you “today” budget. Here is an example of a $450,000 mortgage and what the difference in what you will owe on a 3 year term. 2.59% – payments are $1018 ever two weeks = $403,604 owing in 3 years. Your paying $28 MORE every two weeks ($2184 total) and owe $1026 MORE in 3 years. Total LOSS $3210! Planning is key. Stop giving away your hard earned money! Mortgage monster is in the penalties you pay when you fail to plan. Since many families today are getting in with 5-10% as their down payment. If you got your mortgage with many of the traditional banks, your current mortgage is $403,750, and you need to break your mortgage early your potential penalty could be $12,672! 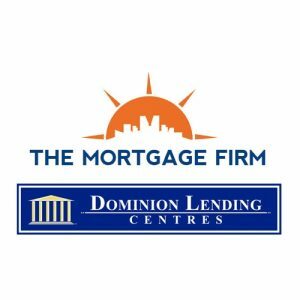 Going with a mortgage broker who can put you with a lender that has a similar rate your penalty would be significantly different – almost $10,000 dollars different! Get a plan today to avoid future financial mistakes! If you have any questions, please contact me to discuss your specific scenario. APPLY online.